While Apple is not known to divulge sales numbers of its devices, a sales breakdown from Consumer Intelligence Research Partners (CIRP) which tracks data from the first 30 days of the iPhone 6 and iPhone 6 Plus availability in the US has some details. According to analyst Steve Milunovich, who has summarised the data, the iPhone 6 comprised 68 per cent of the iPhone sales whereas iPhone 6 Plus sales were between 23 and 24 per cent. That puts the sales ratio of almost three to one in favour of the iPhone 6. Unlike the Asian market where phablet sales are always on the rise, the US buyers are still taking time to adapt to the iPhone 6 Plus. Another reason for this may be the supply shortages being faced by Apple for its iPhone 6 Plus. The total sale of iPhone 6 and iPhone 6 Plus since its launch comprised 91 per cent of the total iPhone sales after its first four weeks. The remaining 9 per cent sales were lapped up by consumers still purchasing the previous generation iPhone 5s and iPhone 5c. In comparison, the total sales percentage of the iPhone 5s and iPhone 5c, a month after they had launched, stood at 84 per cent. Clearly, buyers are interested in the current generation of iPhones, over the same period last year. CIRP also looked at the storage capacities and found that the average capacity was 48GB which was twice the average capacity last year. One needs to note that Apple has ditched the 32GB variant and only has 16, 64 and 128GB variants. According to investors, consumers will most likely upgrade to 64GB and 128GB variants which will help boost Apple’s sales margins. 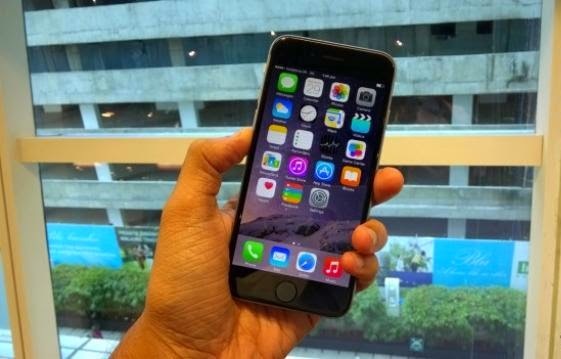 In India, Apple had started the pre-orders for the iPhone 6 and iPhone 6 Plus on October 8th and despite the premium pricing, round 21,000 pre-orders were recorded. In contrast, China received 1 million pre-orders. The 4.7-inch iPhone 6 is available for Rs. 53,500 for the 16GB version, Rs. 62,500 for the 64GB version, and Rs. 71,500 for the 128GB version. The 5.5-inch iPhone 6 Plus has been priced at Rs. 62,500 for the 16GB version, Rs. 71,500 for the 64GB version, and Rs. 80,500 for the 128GB version.